The introduction of a Mental Health Nurses' Day is a step forward in helping people understand the crucial role these specialist nurses play in supporting service users and challenging stigma that still surrounds mental illness, according to an expert from Kingston University and St George's, University of London. Professor of Mental Health Nursing Mary Chambers said the new awareness day, created by the Royal College of Nursing, comes at an important time - with mental health 'receiving long overdue recognition' after the government announced a number of new initiatives in the latest Budget. "There is still a huge amount of stigma attached to mental health because it is invisible, it's not like a broken leg where people can see someone has a disability. Because of this individuals are often scared to say they have a mental illness and worry people will find out about it. Recognising mental health is just as important as physical health is vital," she said. 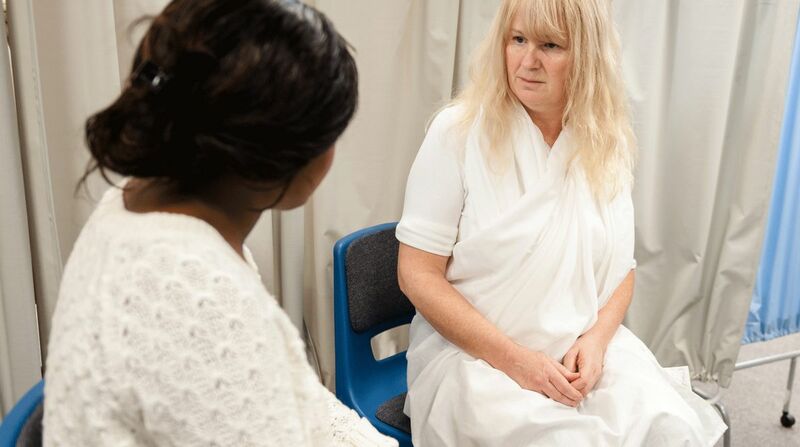 Professor Chambers who works in the Faculty of Health, Social Care and Education, run jointly by Kingston and St George's, suggests there needs to a be a greater partnership between mental health nurses and service users in addressing stigma. She believes people experiencing care and treatment should be supported to speak about the help they receive from nurses to raise awareness of what mental health nurses do and challenge stereotypes, given that one in four people experience mental health problems at some point in their lives. Professor Chambers said progress has been made in treating and caring for those experiencing mental health illness through initiatives such as street triage, which sees mental health nurses accompanying police to incidents where mental health may be an issue. She also suggested the increasing number of celebrities who have talked openly about their mental health problems has helped raise the profile of the issue, but suggests more work needs to be done in both areas. "I think there should be pop-up stalls across the country to educate people on mental illness as there can be a reluctance to engage with the topic as people find it difficult to talk about," she said. "I really hope this new awareness day can help highlight the amazing work mental health nurses do and the wonderful rewarding career opportunities mental health nursing offers. The more we can talk about mental health and its importance, the more likely we are to recruit more nurses." Find out more about studying mental health nursing at Kingston University and St George's, University of London. The first Mental Health Nurses' Day took place on Thursday 21 February. Find out more.